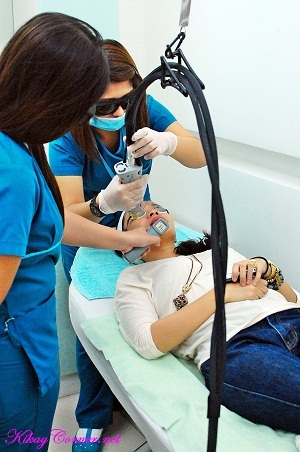 The GentleYag laser treatment started off with facial cleansing. 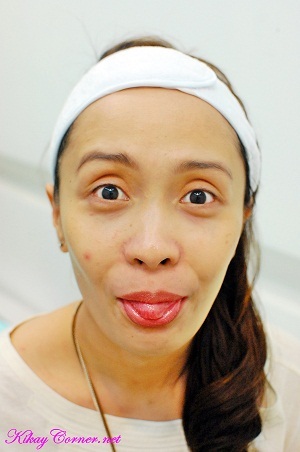 Nurse Tricia wiped my face off with a gentle skin cleanser, similar to that of Cetaphil and Physiogel. 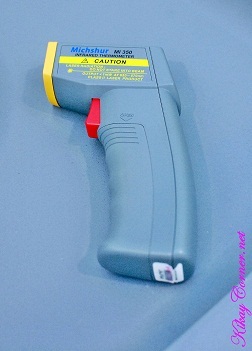 The infrared thermometer gun measures the heat transferred to my face. It has to reach 40°C (imagine warm shower temperature), to reach the depth of the skin layer that will effectively go about its non-invasive collagen remodeling. The danger of having the hubby as my photographer is not being able to help myself to goof around during snapshots. In hindsight, as I was looking through the bunch of photos, this goofy shot actually showed how embedded my laugh lines already were. 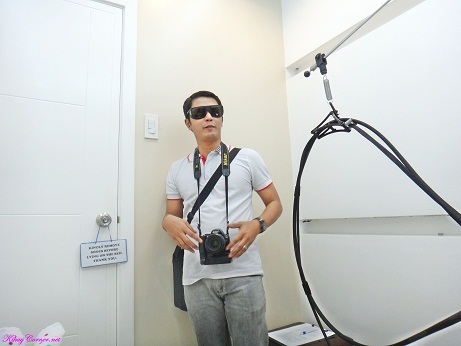 Tricia dutifully placed the protectors over my eyes before the GentleYag laser treatment proper. Notice that nurse was also wearing a pair of eye protectors. Yep! Even the hubby was given an eye protection he had to wear even if he was several feet away from where I was treated. Lines were drawn around my face where the laser would go. 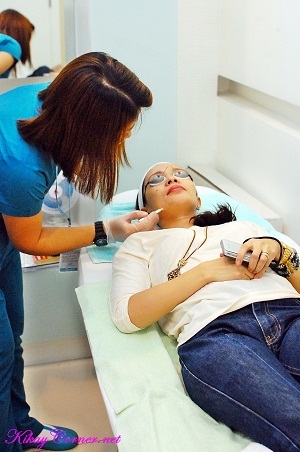 The lines serve as the guide where the nurse will direct the laser during the procedure. 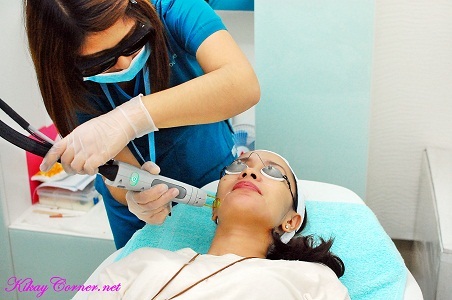 Nurse Tricia did the laser treatment while another nurse measured the heat transfer on my face. Men and women between ages 30 and 60 are ideal candidates for laser skin tightening procedures. As long as you’re in good health, laser skin tightening can repair loose facial skin and reduce wrinkles and fine lines all over the body. Typically, new collagen growth takes from 90 to 180 days after the initial treatment, at which time patients enjoy a dramatically rejuvenated appearance. There were some sudden stings as the laser got in contact with my facial hairs. During which times I got startled and actually flinched quite a number of times. Some “Tiis Ganda” moments, for sure, but nothing unbearable. 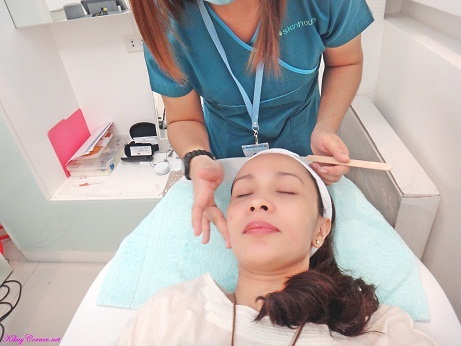 While patients see noticeable decreases in skin laxity after their first laser skin tightening session, most skin tightening experts recommend up to six treatments, depending on the patient’s desired results and the area to be treated. 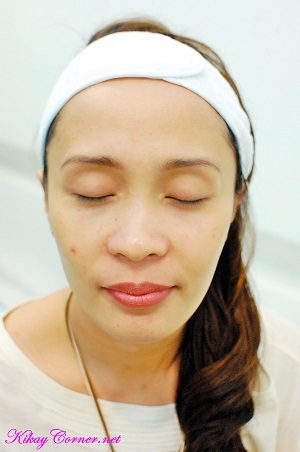 Treatments are generally spaced roughly 4-6 weeks apart. 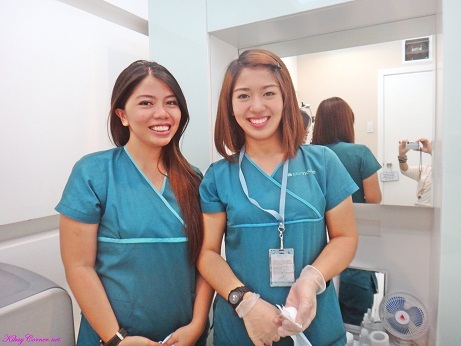 The procedure was wrapped up with Tricia applying sunblock on my face. I totally should have taken an “after the procedure photo” right in the procedure room, for the purpose of documentation. My boys got busy playing against each other via Red Alert, it totally slipped my mind. Next time, then. That’ll be a note to self. 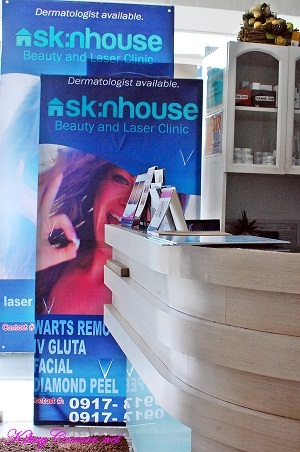 I’m revisiting SkinHouse for my second treatment after 1 month! Yay! The above photo was taken as soon as I hopped in the car. Yes I have sunspots too! All the blemishes are magnified without my trusty BB cream. Haha! I was discouraged to wash my face within the 24 hour period. But I can use gentle skin cleanser. 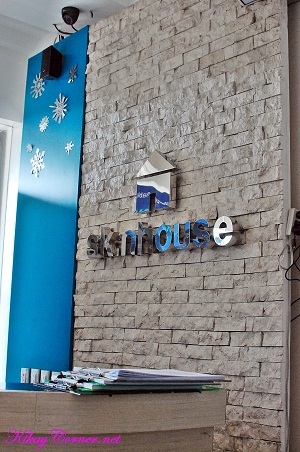 SkinHouse is branching out in Ortigas area soon! That’s something to look forward to. I know a handful lot of SkinHouse followers are thrilled about this. I am too! I’m interested to tighten my skin and minimize my pores. Would this be the right procedure? What is the address of the Ortigas branch?